Hi all! I will tell you that today was NOT a good day. 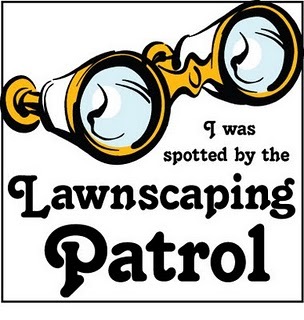 Very stressful mentally - and I get home and check my email, and I see that my card was found by the Lawnscaping Patrol! This put a smile on my face that I most certainly needed. I just wanted to share this bit of information!! :) It doesn't take much to make me happy! !